We believe, when people, land, and community are each treated with care and respect, all three prosper.We seek to develop farming practices consistent with enhancing this view as stewards of the land in trust. 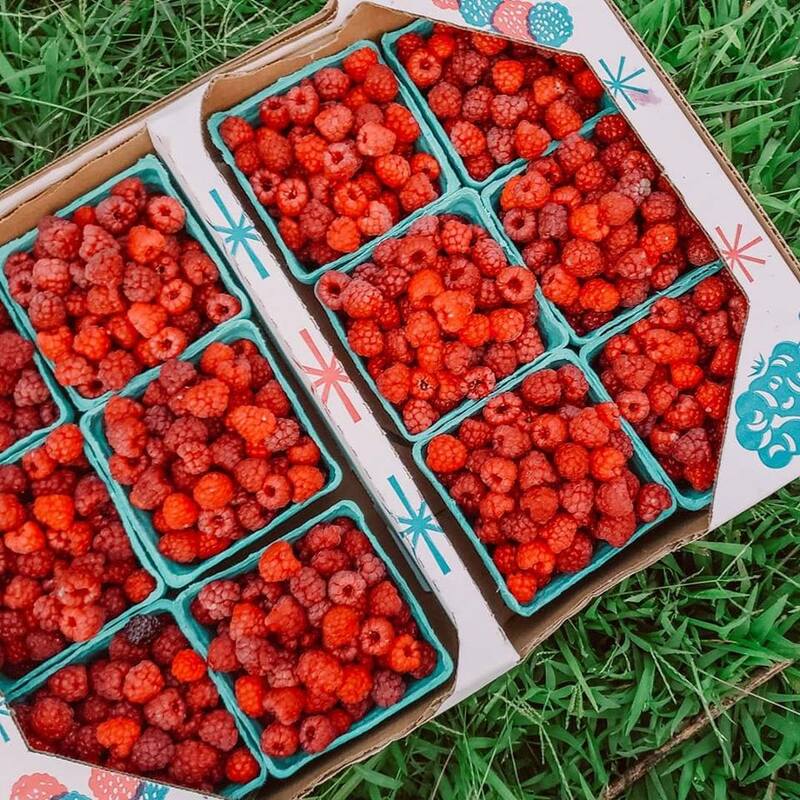 Head out to the farm to pick your own berries. We provide buckets and bags, but feel free to bring your own containers. We will tare the weight for you before picking. All P-Y-O berries are sold by the pound, which we will weigh for you after picking. Please see our U-pick page for all details. We almost always have pre picked berries available for drive up sales every day during the season. You can find those at our 127 E Krepps Rd. address. Drive up and honk and someone will come out to assist you. It may be best to give us a call to make sure fruit is available before driving out. You can also call ahead for orders of larger quantities. No sales on Sundays. This year, we are excited to begin our own CSA (Community Supported Agriculture) program - weekly or biweekly share boxes containing fresh produce with the option to add on fruit, May thru October. For more information about what a CSA is and how you can become apart of one, click this link below.